This pen plotter was made around 1973 and was used for creating drawings. The plotter was offered to a good home in 2003 by Douglas Klopfenstein and Doug Coward was nice enough to pack it and ship it to me. The plotter is controlled by the host computer using discrete signal lines which allowed the drum to be rotated one step and/or the pen to be moved one step. The host computer has to do all the work of creating lines and characters using single steps of .005 or .01 inches or .1 mm depending on model. Mine is the .005 inch model. The PDP-8/E XY8-E plotter control card M842 has a pot to adjust the step rate. For this plotter the maximum is 300 steps per second with .005 inch or .1 mm steps or 200 steps per second with .01 inch steps. This is about 1.5 inches per second. Interfaces for this type of plotter were available on omnibus (8/E) and earlier PDP-8's. This plotter uses 30" roll sprocket feed paper. Later plotters used standard interfaces such as serial and high level command sets which let you send the end points for lines and text for the plotter to draw. They could also draw much faster, over 30 inches per second on high end plotters. The pen plotters have pretty much been replaced by plotters which are large inkjet printers. Modern plotters use either sheets of paper or roll paper without sprocket feed holes. This link has information on a IBM 1627 plotter that is a relabeled Calcomp 565 plotter. The 565 is the 11 inch wide version of the Calcomp 563 plotter. These plotters were also used to make art pictures, some are shown on the Smithsonian science service computer art page. I recently purchased the pressurized ink cartridges and liquid ink nibs from eBay seller plothropa2z. If his current auctions doesn't list any he may still have some available. You should be able to contact him through eBay. He doesn't have all but this lists what pressurized ink cartridges were available. These someone sent me the links. I have not purchased from them. 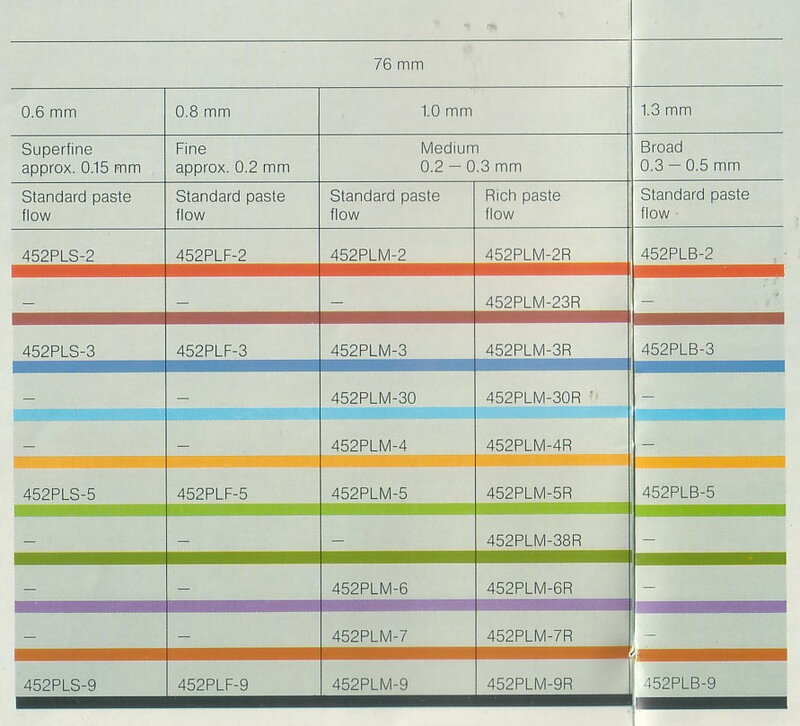 Pen cross reference table and pen sales and another pen source with price. Jeffrey S. Jonas 1627 page has pictures of the accessories and links to sites with more information on this plotter. My plotter is missing the accessories and the roll paper is no longer made. If anybody has these items I would be interested. Contact info at end of this page. I have recently gotten enough new old stock roll paper to last me for a while. I'm also working on making reproductions of the missing accessories. Pictures of the progress below. Making Replacement Parts. The MARCH computer group was given a original PDP-8 and a Calcomp/Bendix plotter that was missing some pen parts. The following pictures show making the replacement parts. Making Replacement Parts. I have started making the various pen parts that were offered but I don't have for my plotter. This site has pictures of some of the accessories for the plotter that I don't have.